It was the discovery of a guitar in the garbage at age eleven, and his subsequent efforts at its repair that was this first spontaneous sign of devotion which fused a love of music and wooden instruments in his heart. At age 18, this love of music brought him to Thessaloniki to study jazz guitar, which soon led him to realize that there are no limits in music nor in the infinite possibilities of its production. This became the impetus for constant experimentation in the construction of musical instruments. His family roots in today’s Turkish province of Thrace played a major role in his specializing in the traditional musics of the region, and he began to build traditional hand made musical instruments such as the oud and the tambouras. He soon realized that the intersection of building materials, the music and historical tradition was critical in his development. 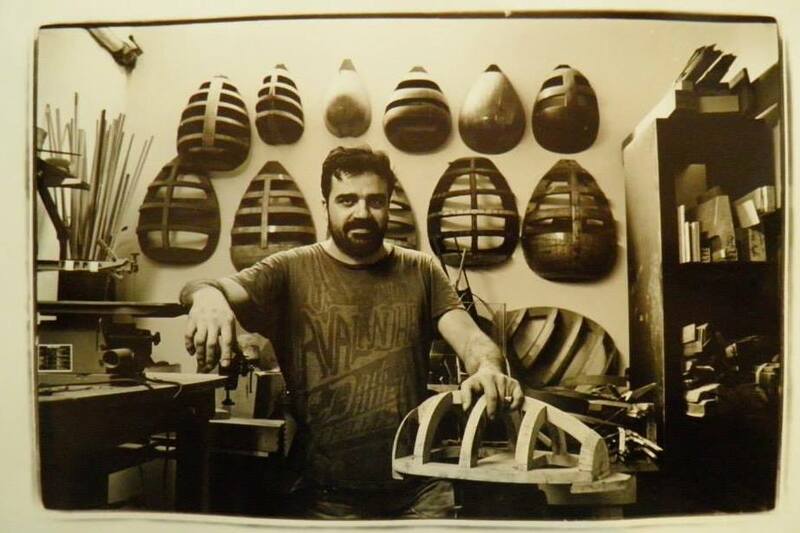 Travelling to both Italy and Istanbul, Tasos began the process of building relationships with master makers in both countries who passed on to him centuries old secrets regarding the selection of material and traditional construction techniques which had been passed down to them. In the company of these people he learned to respect the personal history and uniqueness of each instrument, and it with this respect that he approaches instrument repair, which to him is a ‘healing process’ more than a ‘repair’.